Whether you’re a student, a parent or a visitor for the day, at Georgia Southern University, you have choices. From wildlife and environmental education to space and environments beyond, we have events and exhibitions to both educate and entertain the entire family. Check out some of our public venues below, and come visit us to experience a small-town feel from a large university. 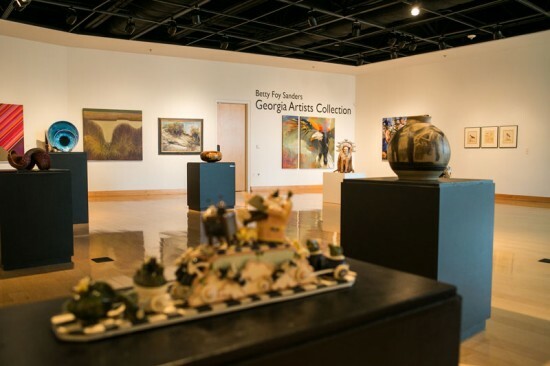 At the Georgia Southern Museum, visitors can explore up to 80 million years of both natural and cultural history along Georgia’s coastal plain. 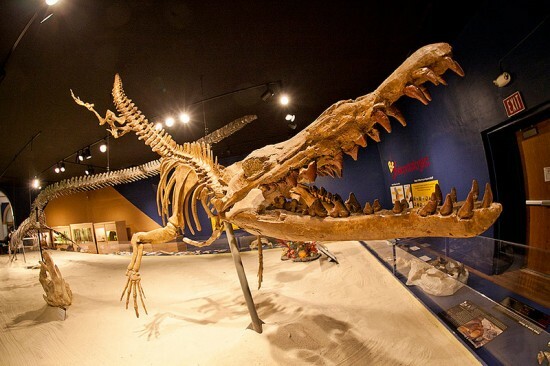 Step back in time to the Mesozoic Era and come see a 26-foot-long Mosasaur skeleton in The Hall of Natural History. Or experience one of the many dynamic, interactive exhibits based on our University faculty’s own important research. Explore. Learn. Grow. Visit the Georgia Southern Museum today for an exciting glimpse into our state’s storied history. 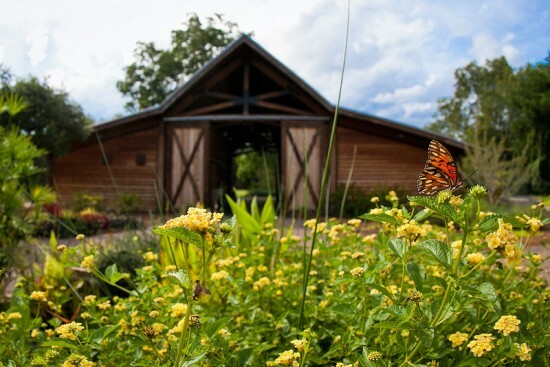 Since its inception, the Center for Wildlife Education has grown into one of the leading environmental education facilities in Georgia. 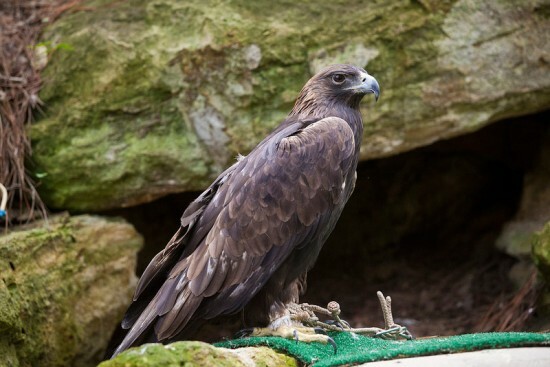 More than 17 acres in size, the Center is home to raptors, reptiles, waterfowl, amphibians, mammals, and of course, eagles! Providing up close wildlife encounters to more than 17,500 annual visitors, the Center provides people of all ages with a strong sense of their personal roles in protecting our environment and the planet we all share. Welcome to The Garden. This lush landscape covers more than 11 acres of the early 20th century farmstead of Dan and Catharine Bland and features an impressive collection of native and heritage plants, including 20-plus of Georgia’s protected species. In the Garden, you’ll also find winding woodland trails, a children’s area, the Rural Life Museum, the Whelchel Camellia Garden, and the Kennedy Outdoor Classroom, providing research and educational resources for faculty, students and visitors alike. Bringing Broadway to the Boro, Georgia Southern’s Performing Arts Center is a “state-of-the-arts” performance facility, featuring an 825-seat theatre with the latest sound and lighting technology. Each season, the Center offers world-renowned plays, music, dance and other performing arts entertainment. Available for use by campus and community organizations, and providing educational programs for its visitors, the Performing Arts Center actively promotes the discovery, appreciation and enrichment of the arts and individual artist accessibility to perform and train year-round. 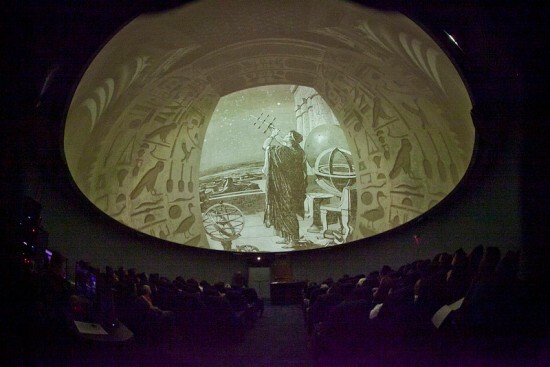 Whether on earth, on orbit or on route through the known Universe, the Georgia Southern University Planetarium offers immersive, full-dome multimedia presentations for visitors of all age groups, including pre-K children. Free to the public, Planetarium shows feature real-time views of the Milky Way Galaxy and beyond. Appointments for larger groups or classes are always welcome, or simply stop by each month for new show times and special public events, including outdoor telescopic observations when weather permits. Home to the Black Box Theatre, Betty Foy Sanders Georgia Artists Collection and Smith Callaway Banks Southern Folk Art Collection, Georgia Southern University’s Center for Art & Theatre is a stunning venue for outstanding theatrical performances and renowned art exhibitions. The facility features 5,000 square feet of gallery space, with two permanent collections as well as featured exhibitions throughout the year. Inside, patrons will find a 150-seat, state-of-the-art performance space that stages four major productions each year, as well as smaller performances such as the 10-Minute Play Festival and the Patti Pace Performance Studies Festival. 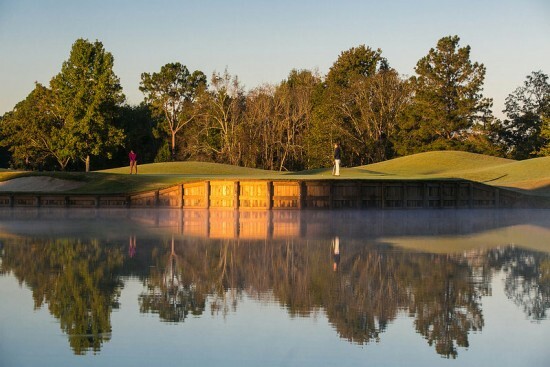 Whether you’re working to improve your handicap or just looking to relax on the links,the Georgia Southern University Golf Course at University Park is a convenient and picturesque place to play. This 18-hole championship course measures 6,900 yards and features five sets of tee locations at each hole to accommodate a variety of skill levels. From driving to chipping and putting, the University Golf Course is the perfect practice facility as well. Not only does the on-site golf pro provide local tournament administration, but both private and group lessons to improve your game. 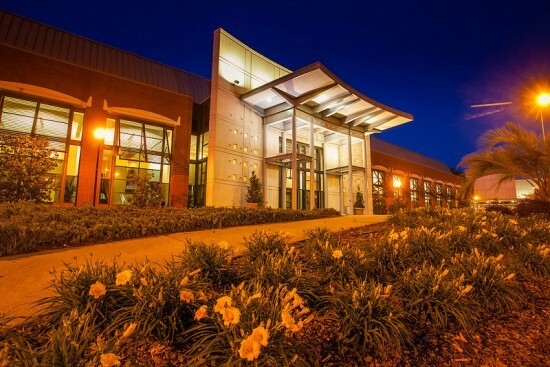 Located on the campus of Georgia Southern University, this conference center offers first-class facilities and services for any type of event. 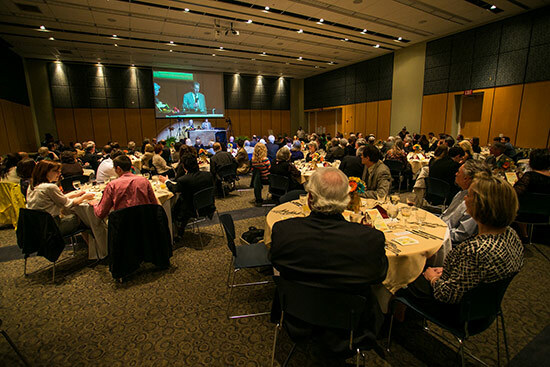 Whether you’re in need of wireless Internet access and videoconferencing capabilities, or catering services with seating for up to 400, the Center and its experienced staff will ensure you and your guests receive an excellent experience. 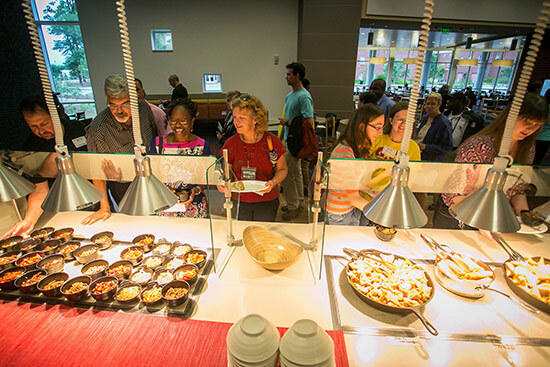 Eagle Dining Services provides a wide variety of food choices to the Georgia Southern campus and surrounding community through the new Dining Commons and Lakeside Dining Commons facilities. In addition to its residential dining options, Eagle Dining also operates the on-campus Starbucks and Chick-fil-A restaurants, as well as catering services and concessions to the numerous campus-related and athletics events held throughout the year. 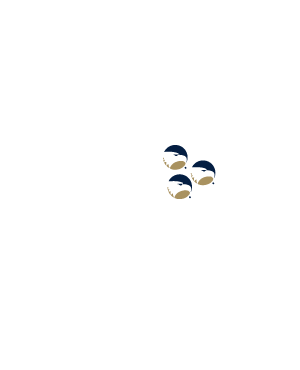 For a full list of on-campus restaurants and hours, click the button below. Statesboro, Georgia, is a unique city where the Eagles soar. Its foundation is based on traditions that celebrate the southern lifestyle while embracing energy from the local university and colleges. Learn the best places to stay, play, and eat.